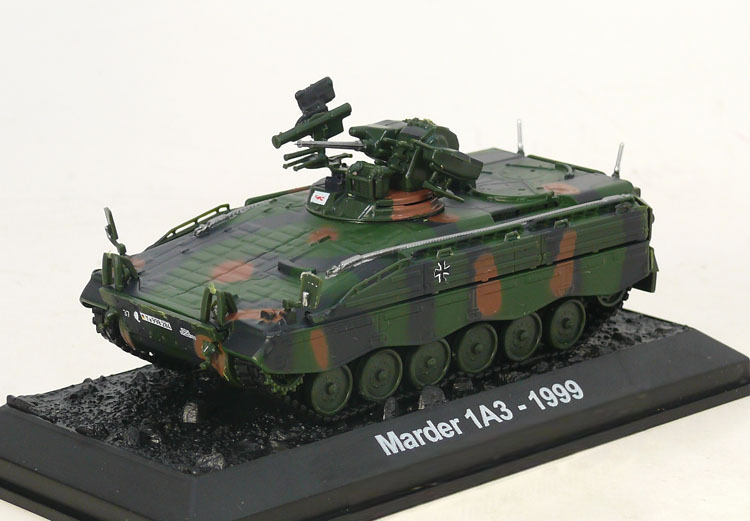 The Marder (German for "marten") is a German infantry fighting vehicle operated by the German Army as the main weapon of the Panzergrenadiere (mechanized infantry) from the 1970s through the present day. 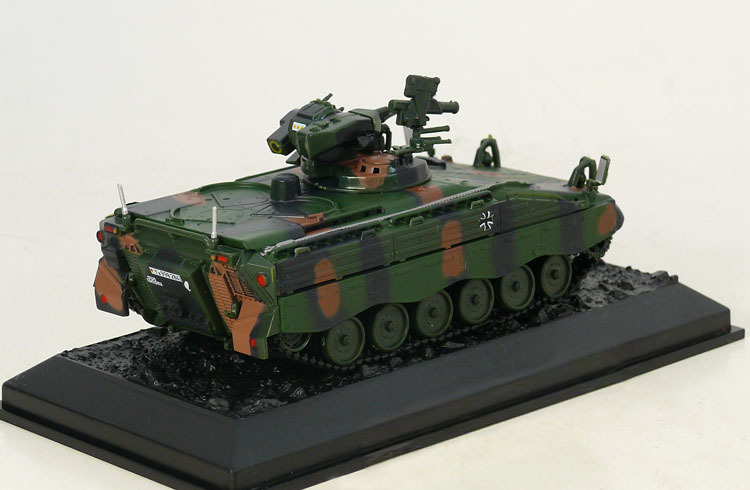 Developed as part of the rebuilding of Germany's armoured fighting vehicle industry, the Marder has proven to be a successful and solid infantry fighting vehicle design. While it does include a few unique features, such as the fully remote machine gun on the rear deck, it is overall a simple and conventional machine with rear exit hatch and side gun ports for mounted infantry to fire through. Around 2,100 were taken into service by the German Army in the early 1970s, but the vehicle in its German variant was not sold to any foreign militaries.